Following on from yesterday’s decision in Smith & Nephew Plc v ConvaTec Technologies Inc [noted briefly on the IPKat here], the Court of Appeal for England and Wales has today handed down another decision in relation to patents in the healthcare sector in Actavis UK Ltd v Eli Lilly & Company  EWCA Civ 555. Actavis applied for declarations of non-infringement (DNIs) in respect of the UK, French, Italian and Spanish designations of European Patent No. 1 313 508. 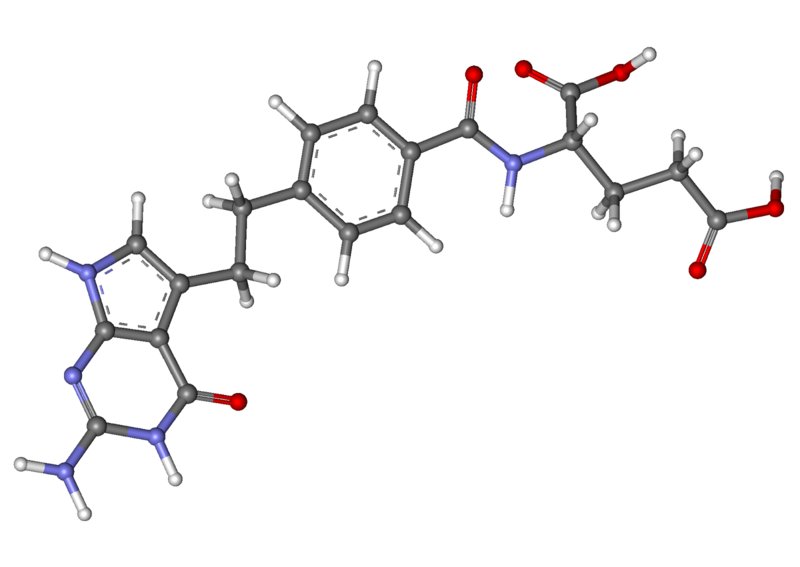 That patent is drafted in the Swiss form, and claim 1 is for “Use of pemetrexed disodium in the manufacture of a medicament ...”. Actavis’ proposed product contained pemetrexed in one of three different forms: the free acid, or the ditromethamine or dipotassium salts (non-chemist readers are referred to paragraphs 76-79 of Arnold J’s decision, in which an explanation of the various terms is given). In assessing whether there was direct infringement, unusually both Arnold J at first instance and Floyd LJ on appeal applied the Improver three-stage test – rarely applied since the seminal decision in Kirin-Amgen. Both at first instance and on appeal, it was held that there was no direct infringement. We can agree with that – clearly, for example, the potassium salt of an acid is a different chemical entity to the sodium salt, and it is difficult to see how “sodium” could be construed to cover “potassium”. In any case, the sodium and potassium salts may have different properties and would require separate efficacy and safety tests. “the skilled team, particularly the chemist, would understand from the 508 patent that pemetrexed disodium is also used to refer to solutions which contain pemetrexed ions and sodium ions in solution”. Applying that construction, Floyd LJ held that pemetrexed dipotassium is a means relating to an essential element of the invention, and therefore the Actavis product infringes under s. 60(2) of the Patents Act 1977. Whereas we can follow the logic of Floyd LJ’s approach, we believe that it leads to a rather arbitrary outcome, and that Arnold J’s approach was to be preferred. The saline solution is nothing more than an inert carrier, and if Actavis’s formulation was dissolved in another (non sodium-containing) carrier, infringement under s. 60(2) would presumably not have been made out. In fact, according to the postscript to the judgment Actavis has now asked for a declaration of non-infringement in respect of its same formulation but using a dextrose solution instead of a saline solution. The decision raises a number of other very interesting issues, particularly on whether (and if so under what rules) the English courts can grant declarations of non-infringement for other countries’ designations of European patents. Doubtless these issues will be the subject of commentary, but for the time being we have focussed only on the patent construction point. The authors, two of whom are former research chemists, also have a comment on the ConvaTec decision. We find the outcome of Kitchin LJ’s approach to be problematic, in that we cannot see how the skilled person could possibly consider a concentration of 0.5% as falling within a claimed range of "between 1 per cent and 25 per cent". We respectfully disagree with the approaches of both Birss J and Kitchin LJ. In our view, the skilled person would understand that reagent concentrations can never be absolutely precise, but are subject to a margin of error. What is an acceptable margin of error will depend upon the particular purpose of the reagent. Kitchin LJ considered that “it is clear from the teaching of the specification that the binding agent concentration is not critical in the method of this invention”. In the circumstances, we consider that whereas the skilled person would not necessarily prepare and measure the concentration of the silver solution to the highest degree of precision (it was undisputed that the concentration can be measured to a precision of at least two decimal places), he would still prepare and measure it with a reasonable degree of accuracy. A minimum accuracy of 10% would, we suggest, be appropriate, as that is easily achievable even without using microbalances and calibrated volumetric flasks. That would imply that the range covered by "between 1 per cent and 25 per cent" is, at its widest, 0.9-27.5%. The chemist (one of the members of the skilled addressee as determined by Birss J) would be unlikely even to consider the concept of significant figures, which seems to form the basis of the judge’s thinking, even if he recalled the concept from school mathematics studies. He would, though, expect a reasonable degree of accuracy in preparation of stock solutions, even for applications not requiring a high level of precision. A margin of error of 50%, as suggested by Kitchin LJ’s approach, would in our view be regarded as unacceptable by the chemist. Indeed, we would challenge the competence of any lab technician who made up such a solution. Whereas this and yesterday’s ConvaTec decision may appear to have little in common, when read together they raise an interesting issue relating to patent construction. All readers will be familiar with the Protocol to Article 69 of the European Patent Convention (EPC), which states that claims are to be construed in such a way as to combine fair protection for the patentee with reasonable certainty for third parties. The judges in both cases expressly referred to the Protocol, and satisfied themselves that their construction of the patents satisfied its requirements. Given that, we consider it surprising that two patent claims, which appear on their face to be very precisely delineated, can have given rise to such a divergence of views by judges in the Courts of England and Wales. Whereas the patentees will presumably be highly satisfied with the degree of protection they have been given, we are not sure that the results can be said to provide “reasonable certainty for third parties”. We shall have to see whether the Supreme Court will agree to hear appeals from either, and if so whether they will disagree with one (or both!) of the courts in either case. British Gas Services v VanClare SE LLC (2015) is an extempore 17 June judgment of Mr Justice Arnold, sitting in the Intellectual Property Enterprise Court (IPEC) for England and Wales. While that court is technically part of the High Court, it's really the successor to the junior Patents County Court -- though High Court judges do occasionally sit in it. This was an application by VanClare, the defendant in patent revocation proceedings brought by British Gas Services (BGS) to be transferred to the Patents Court, together with an application by BGS for its revocation claim to be heard before Vanclere's infringement claim. In essence, in 2014 VanClare acquired a 2002 patent relating to prepayment utilities metering. VanClare granted an exclusive licence in respect of the patent to another entity controlled by the same person as VanClare. That licensee then wrote to BGS (part of the UK government's smart metering implementation programme, SMIP), drawing the patent to its attention and suggesting that BGS took a licence. A letter before action followed. 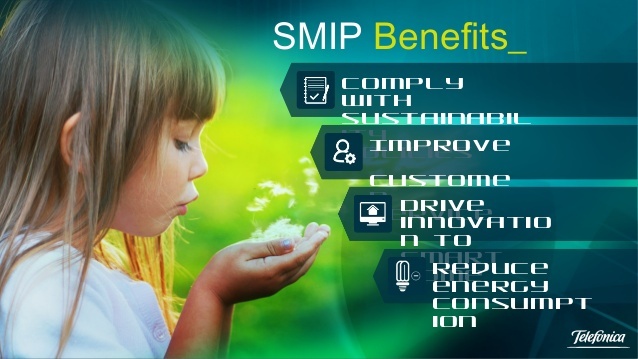 SMIP involved the installation of 16 million meters by 2020 at a cost of approximately £600 million. When infringement proceedings were threatened, BGS issued revocation proceedings in the IPEC, alleging that the patent was obvious in the light of common general knowledge and prior art, not to mention added matter. VanClare had not served a defence. Soon afterwards, the exclusive licensee commenced infringement proceedings in the Patents Court, serving particulars of claim and particulars of infringement. At this point, VanClare sought the transfer of the revocation action to the Patents Court. BGS objected and said that the infringement claim should be stayed pending the outcome of the claim for revocation which, it said, was simpler and could be tried ealier and more quickly. * so long as it did not appear that the revocation claim could be heard any more quickly in the IPEC than in the Patents Court, BGS did not oppose its transfer, since BGS just wanted the revocation claim to be heard before the infringement claim. * the normal practice in the Patents Court was for validity and infringement to be tried together. That avoided the risk of inconsistent decisions on the interpretation of the patent if there were two hearings, and the possibility of delay inherent in a possible appeal against the decision on revocation. * the court could order the issues to be tried in whatever order was convenient, if there was a good reason for doing so, and the onus on a party seeking to do things in a different order was not a heavy one -- but it had to be shown that that was the better way to proceed. * while it was said that this revocation claim was simple to try, the issues were not so straightforward that an application for summary judgment had been made or even suggested. The revocation case was not unanswerable and would need a trial for its proper resolution. * conversely, the infringement claim was said to be complex, not properly particularised and nowhere near ready for trial. However, the infringement claim could be elaborated if necessary in the ordinary way, and any deficiencies in preparedness could be dealt with by routine case management directions. * bearing this in mind, differences in the relative complexity and readiness of the cases on the pleadings were not sufficient to justify the suggested bifurcation of the proceedings and there was no reason why the infringement claim could not be ready for trial with the revocation claim, especially since any delay would be prejudicial to both parties and the patent only had five years to run. There are two sorts of bifurcation of patent proceedings: those where infringement is heard first, followed by revocation, and those (as was sought in this application) that go the other way round. This decision confirms that, while neither is normal in England and Wales, either is possible if the argument in favour of it is sufficiently persuasive. One wonders whether, following this clarification, more applications to hear one issue ahead of the other might be expected. This blogpost is prepared from a note on the subscription-only Lawtel service. In a series of cases addressing whether inventions are eligible for patent protection under 35 U.S.C. § 101, the U.S. Supreme Court has adopted a two-step analysis. Two recent decisions by the U.S. Court of Appeals for the Federal Circuit illustrate the potentially restrictive effect of that test in two completely different technological fields. 'The first decision, Ariosa Diagnostics, Inc. v. Sequenom, Inc., No. 2014-1139 (Fed. Cir. Jun. 12, 2015) concerned the discovery of cell-free fetal DNA (“cffDNA”), minute amounts of fetal DNA that circulate in the blood of a pregnant woman. The inventors discovered cffDNA in maternal blood samples, which previously had been discarded as useless, and claimed methods to amplify the trace molecules and test them using standard genetic testing procedures. The Federal Circuit affirmed a lower court ruling that Sequenom’s claims covering methods of performing prenatal diagnosis and detecting parental inherited DNA in samples were invalid. The court applied the two-step test crafted in Mayo Collaborative Services v. Prometheus Labs., Inc., 132 S. Ct. 2347 (2014). First, the court ruled that the claims were directed to a form of naturally-occurring DNA molecule, which itself would not be patent-eligible. See Assn. for Molecular Pathology v. Myriad Genetics, Inc., 133 S. Ct. 2107 (2013). Second, the claims lacked elements that either individually or as an ordered combination amounted to an “inventive concept” sufficient to transform the nature of the claims into something different from merely the ineligible cffDNA discovery. The court relied on repeated statements by the inventors that the cffDNA molecules should be amplified using conventional polymerase chain reaction (PCR) techniques and analyzed using one of several common detection protocols. The court concluded that, “Thus, in this case, appending routine, conventional steps to a natural phenomenon, specified at a high level of generality, is not enough to supply an inventive concept. . . . The claims of the ‘540 patent at issue in this appeal are not directed to patent eligible subject matter and are, therefore, invalid.” Slip op. at 13. The court rejected Sequenom’s argument that the claims should be valid because the newly-discovered cffDNA has many uses beyond those claimed in the patent, and thus the patent did not “preempt” future developments in the field. The court ruled that, “While preemption may signal ineligible subject matter, the absence of complete preemption does not demonstrate patent eligibility.” Slip op. at 14. As a result, the Sequenom patent is invalid even though the underlying discovery of cffDNA was undoubtedly a historic breakthrough in the field of prenatal medicine. The court noted that “groundbreaking, innovative, or even brilliant discovery does not by itself satisfy the § 101 inquiry.” Slip op. at 16, quoting Myriad, 133 S. Ct. at 2117. In a concurring opinion, Circuit Judge Richard Linn lamented the result, stating that the claimed diagnostic methods based on cffCNA were “truly meritorious” and should be patentable, but nonetheless are ineligible under the “sweeping” language used in the Supreme Court’s Mayo decision. In a second decision issued on the same day, the Federal Circuit ruled that a computer-implemented process for determining optimum product prices was ineligible under § 101. OIP Technologies, Inc. v. Amazon.com, Inc., Case No. 2012-1696 (Fed. Cir. Jun. 11, 2015). The patent at issue in OIP claimed a process for automatically determining the price of a product offered for sale (such as over the internet) by testing multiple prices, collecting data on consumer response, calculating a demand curve for the product, and choosing the optimum price. The court applied the same two-step test for patent eligibility. See Alice Corp. Pty. Ltd., v. CLS Bank Int’l, 132 S. Ct. 2347 (2014) (applying Mayo two-step test to computer-implemented processes). First, the court concluded that the use of consumer data to set product prices by calculating a demand curve is itself an ineligible abstract idea similar to the “fundamental economic concepts” found to be ineligible in previous cases, including Alice (intermediated settlement) and Bilski v. Kappos, 561 U.S. 593 (2010)(hedging against risk of commodity price fluctuation). Applying the second step of the test, the court ruled that the OIP patent claims did not provide an “inventive concept” because they only called for the use of “well-understood, routine, conventional activities,” such as the operation of a general-purpose computer and common computer and network functions. The court noted that the OIP claims were “exceptionally broad” and the patents made clear that one could perform the automated pricing method by “any sequence of instructions designed for implementation on a computer system.” Slip op. at 7. Thus, the court held that OIP’s patent was invalid as ineligible. The Ariosa and OIP cases underscore the potentially restrictive effect of the Mayo/Alice two-step on patent eligibility across a variety of technologies. The key to establishing eligibility rests in drafting claims that recite a sufficient “inventive concept,” such using a specific unconventional apparatus, employing non-routine activities, or physically transforming an object. In addition, broad statements in the patent specification or prosecution history that an invention takes advantage of prior art practices, while potentially supportive of enablement, may tend to suggest that the invention lacks a sufficient inventive concept. Furthermore, although preemption of future developments in a field is one factor to be considered, it is not part of the two-step test and thus is not enough to salvage a claim that lacks a significant inventive concept. "The creation of the Unified Patent Court represents a turning point in the history of European intellectual property law. The judges of the Unified Patent Court will be central actors for the success of the Unified Patent Court and the entire patent package". So says the Centre for International Intellectual Property Studies (CEIPI) which, in collaboration with the French IP office INPI, is lending its experience in training public servants, its long-standing academic tradition and its connection with key international intellectual property organizations at the service of a training programme which is intended to meet the needs of the new generation of technically qualified judges who will be populating Europe's new Unified Patent Court. It will cost you, though. Tuition fees are €2, 900 . You can download the programme and the registration form via the CEIPI website here. Don't leave it too long though: the deadline for enrolment is 1 August 2015. MIP in-house survey on in-house attitudes to unified patent court and unitary patent: can you help? The past few months have seen important developments regarding the fees, procedures and rules for the new Unitary Patent and Unified Patent Court (UPC) system in Europe. In the light of these, we are inviting in-house counsel to complete a short survey and to win an iPad mini 3 [reviewed here on Macworld as "a great tablet but still a rubbish deal" ...]. The first UPC survey earlier this year showed broad support for the new system, with the majority of respondents saying they are likely to use it for at least some patents, and 46% saying it will be good for innovation in Europe. But is also found that more information about the new system was needed, particularly on costs. The new survey picks up on that, including two questions on Unitary Patent renewal fees and UPC court fees. There is also a new question asking about specific concerns to do with the UPC. We also include some of the questions in the first survey, to see how about attitudes to the new system have changed over the past few months as more information has become available. Later this month we will also be conducting in-depth telephone interviews with in-house counsel about the Unitary Patent and UPC. If you would be prepared to take part in an interview, please tick the box in the online survey or email Kingsley Egbuonu directly [you can email him here or phone him on 020 7779 8913]. You can read all MIP's existing coverage of the unitary patent and the UPC here. Our friend Marlou van de Braak has directed our attention to an article by journalist Jeroen Segenhout, published yesterday in leading Dutch newspaper Het Financieele Dagblad. This piece alludes to the current state of play in The Netherlands regarding the new European patent regime for Europe and contains a couple of notable comments from veteran Dutch patent litigation expert Willem Hoyng. 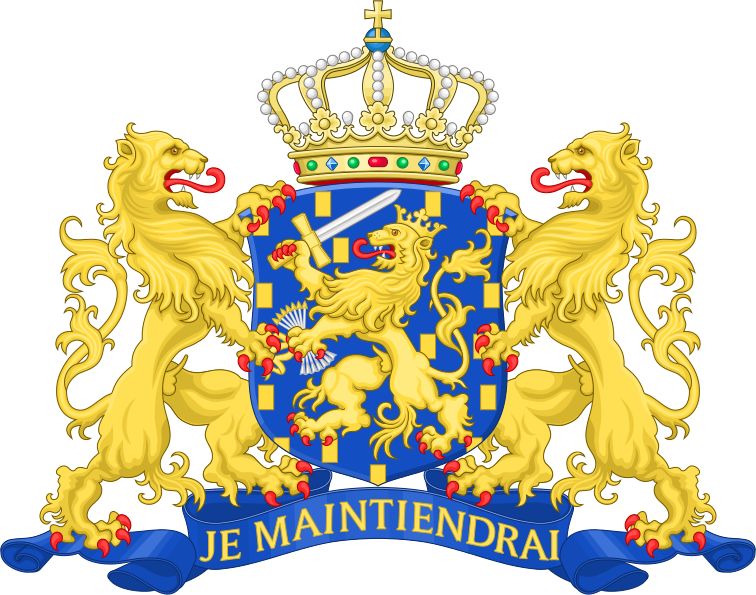 "The Netherlands still has not ratified the establishment treaty of the UPC. 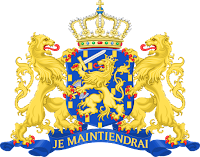 It is also not very motivated to push forward The Hague, its own international legal capital, as a local division alongside the central courts in Munich, Paris and London. Hoyng says he is not preaching to his own parish. Willem's firm Hoyng Monegier actually stands to do well whether The Netherlands takes up the challenge or not, since it has just merged with German IP practice Reimann Osterrieth Köhler Haft to form Hoyng ROKH Monegier. In a case at odds with long-standing assumptions about the legal status of invalid patents, the U.S. Supreme Court has ruled that a defendant’s good faith belief that a patent is invalid is not a defense to active inducement of infringement under 35 U.S.C. § 271(b). Commil USA, LLC v. Cisco Systems, Inc., No. 13-896 (U.S. May 26, 2015). Full opinions HERE. The decision raises a number of practical concerns for companies facing potential claims for indirect infringement of process patents arising from the activities of customers and other product end users. Commil USA, LLC sued Cisco Systems, Inc. in the U.S. District Court for the Eastern District of Texas, alleging that Cisco infringed U.S. Patent No. 6,430,395 (entitled “Wireless private branch exchange (WPBX) and communicating between mobile units and base stations”). The ‘395 patent claims methods for improved protocols used to hand-off communications between mobile devices and base stations in a wireless network. Commil alleged that Cisco directly infringed the ‘395 patent and also actively induced infringement by causing users of its wifi network products to practice the claimed methods. 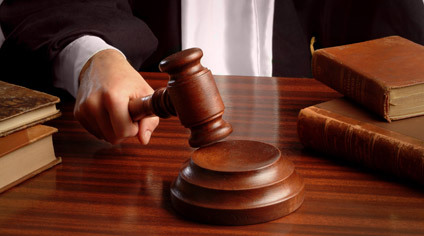 A jury found that Cisco actively induced infringement and awarded over $60 million in damages. On appeal to the U.S. Court of Appeals for the Federal Circuit, Cisco challenged the judgment on multiple grounds. Among other things, Cisco argued that the district court erred in excluding evidence that it believed in good faith that the ‘395 patent was invalid. Cisco offered this evidence to prove that it lacked an intent to cause infringement. In a divided opinion, the Federal Circuit vacated the judgment below. The majority agreed with Cisco by holding “that evidence of an accused infringer’s good-faith belief of invalidity may negate the requisite intent for induced infringement.” Commil USA, LLC v. Cisco Systems, Inc., 720 F.3d 1361, 1368 (Fed. Cir. 2013). The Federal Circuit denied Commil’s petition for en banc review, although five judges dissented from that denial. In a 6-2 decision written by Justice Kennedy, the Supreme Court vacated the Federal Circuit’s opinion and remanded. (Justice Breyer did not participate in the case). The principal question presented in the appeal was whether a defendant accused of active inducement may defend by proving that it believed in good faith that the patent at issue was invalid. The Court held that such a belief is not a defense. Rejecting long-accepted patent dogma, the Court rules that an invalid patent can be infringed, but the infringer may raise invalidity as a defense to liability. First, the Court reaffirmed the high intent standard for indirect infringement established in Global-Tech Appliances, Inc. v. SEB SA, 563 U.S. ___, 131 S. Ct. 2060 (2011). In that case, the Court held that “induced infringement under §271(b) generally requires knowledge that the induced acts constitute patent infringement.” 131 S. Ct. at 2068. The Court rejected Commil’s suggestion that the standard only requires that the defendant know of the patent, not that the induced actions infringe the patent. The Court noted that the defendant in Global-Tech was liable for active inducement not only because it knew of the patent, but because it “knew it would be causing customers to infringe [the] patent.” Slip op. at 8. Thus, indirect infringement requires both knowledge of the patent and knowledge that the induced acts result in direct infringement. An accused infringer can, of course, attempt to prove that the patent in suit is invalid; if the patent is indeed invalid, and shown to be so under proper procedures, there is no liability. That is because invalidity is not a defense to infringement, it is a defense to liability. And because of that fact, a belief as to invalidity cannot negate the scienter required for induced infringement. Slip op. at 11 (citation omitted). This analysis would appear to apply both to active inducement and contributory infringement based on the legislative history of 35 U.S.C. § 271(b) and (c). The Commil decision raises a number of practical issues for companies seeking to contain their patent liability risk. The decision is likely to impact companies that are potential targets for induced and contributory infringement claims. In the past, companies could disprove intent to infringe by relying on an opinion of counsel that a patent of interest was invalid. Although opinions may remain useful, especially since the Court reaffirmed Global-Tech’s high intent standard, such opinions now should focus on noninfringement, not validity. In fact, the Court suggested that a defendant may lack the necessary intent to cause infringement if it relies on a reasonable interpretation of the patent claims that is different from the patentee’s interpretation. Slip op. at 9. The Commil decision may be particularly problematic for companies accused of inducing customers or other third parties to infringe patents directed to business methods and other abstract computer-implemented processes that appear to be ineligible for patent protection under recent cases including Alice Corp. Pty. Ltd. v. CLS Bank Int’l, 573 U.S. __, 134 S. Ct. 2347 (2014). Many of these patents may claim abstract ideas and thus appear to be invalid as ineligible in light of current law, but the applicable eligibility standards are continuing to evolve. Commil suggests that a defendant may not avoid liability for indirect infringement by pointing out that it reasonably viewed a patent to be invalid at one point in time, if the claimed invention proves eligible under a later standard. Nonetheless, it is still necessary and proper to stress that district courts have the authority and responsibility to ensure frivolous cases are dissuaded. If frivolous cases are filed in federal court, it is within the power of the court to sanction attorneys for bringing such suits. Fed. Rule Civ. Proc. 11. It is also within the district court’s discretion to award attorney’s fees to prevailing parties in “exceptional cases.” 35 U. S. C. §285; see also Octane Fitness, LLC v. ICON Health & Fitness, Inc., 572 U. S. ___ (2014) (slip op., at 7–8). These safeguards, combined with the avenues that accused inducers have to obtain rulings on the validity of patents, militate in favor of maintaining the separation expressed throughout the Patent Act between infringement and validity. Finally, the Commil decision creates an apparent tension with current law and practice relating to willful infringement. Although the Court suggested that its decision would prevent the additional discovery and cost of litigating the defendant’s belief as to the validity of the patent in suit, a defendant’s good faith belief of invalidity remains relevant to the Seagate Technology willfulness standard. In re Seagate Technology, LLC., 497 F.3d 1360 (Fed. Cir. 2007). Under that standard, defendants frequently rely on invalidity opinions to disprove willful infringement. If, however, belief as to invalidity is not related to infringement for purposes of indirect infringement, then its role in avoiding willfulness may be open to question in future cases. The Association has, on the latest review of an upward curve of interest, 168 members from 17 countries. I didn’t count the delegates or conduct a statistical survey of the geographic mix but I estimate that there were 60-plus people there and I identified individuals from at least 9 different countries. More effective reporters than this one would no doubt provide readers with a full summary of each presentation, including the progress reported by each of the Association’s Working Groups (Substantive Law, Qualifications, Costs, Privilege, Code of Conduct and Education/Training). I will do no more than record, with source accreditation, the various “take home” points I picked up. The apparent intention of the EPO (again according to Margot Fröhlinger) to press ahead with a planned commencement date in 2016, without regard to the UK’s planned referendum on continued EU membership. The next iteration of the Rules on the European Patent Litigation Certificate will provide that non-profit organisations (i.e. not only universities) will be entitled to seek course accreditation. This was a point of criticism of the last draft which was raised by CIPA’s Chris Mercer, in his capacity as Chair of the Working Group on Qualification, and subsequently clarified by Bernadette Makoski from the German Ministry of Justice during her review of “Development towards a litigators certificate for European Patent Attorneys. It is not just senior members of the UK Patent Attorney profession who worry that the “grandfathering” route to qualify to represent clients before the Unified Patent Court is currently unclear and potentially unfair – delegates from other countries (including Germany) are also concerned. They received a sympathetic acknowledgement from Bernadette Makoski but, so far as I could detect, no unequivocal assurance that the final version of the rules will include them among those qualified to represent clients. Bernadette did indicate that the approach likely to be adopted towards grandfathered qualification through previous course attendance is to be inclusive, in respect of qualifying courses (I think that means the list in the last draft will increase), but to give those wanting to make use of the provision a strictly enforced 12 months, and no more, to submit an application. The right to represent clients enjoyed by those qualifying by this route will be permanent – the provision is not transitional in that sense. The rules are expected to be finalised in the course of this summer (Bernadette again). There was an awful lot of detail (from both Eugen Popp of Meissner Bolte and Margot Fröhlinger ) on the recently proposed level of Unitary Patent renewal fees and the complex financial modelling that lies behind the current proposal to align them with the renewal cost of a European Patent designating the four or five most popular national jurisdictions. My strongest recollection of the day was the weariness in the voice of Margot Fröhlinger when faced with the prospect of re-calibrated financial modelling to reflect Italy’s change of heart and consequent replacement of the Netherlands as the fourth most popular country for European Patent designation. A final decision on this is expected within the (relatively wide) window of “end of June or in the fall”. * 20% based on the available financial remedies. More understandable was the importance of Rules of Procedure requiring the exercise to be carried out by the court early in the process and well before either side could seek to influence the conduct of the valuation exercise on the basis of the way the court seemed to be going. While those used to high costs recovery (UK and Germany) were fairly relaxed about the recent proposals, others found the upper range alarming both in terms of the level and the adviser’s difficulty in evaluating a client’s cost risk within the €3M top-level cap. Two minutes from me on the true horror of the detailed cost assessment procedures for courts in England and Wales did nothing to allay anyone’s fears about the court’s ability to come to the assistance of a client who has lost a high value claim. Is it ironic that, as English procedures move to address the concerns of clients about costs risk that are both large and difficult to assess in advance (at least in the IPEC regime), the UPC recoverable cost proposals seem to be edging in the opposite direction. Xavier Seuba from CEIPI at the Université de Strasbourg demonstrated that, in developing the soon-to-be-launched course for technical judges, a very careful analysis had been undertaken of the challenge of testing technical/scientific data in litigation and the precise nature of the role of a technical judge, as distinct from that of a court appointed expert (or others likely to have an impact on this aspect of patent trials). Not surprisingly, against that background, the course outline Xavier disclosed was impressive and the support for the course by both judges (as tutors) and potential trainees reportedly at a high level. 18th draft expected during or after the summer (another fairly wide window) – this again from Margot Fröhlinger. … after all the legal, procedural and political debate came a breath of fresh air when Max Brunner, from the French Ministry of Justice, gave a fascinating presentation on the project planning for the establishment of the Central Division in France. He included the chilling opinion that, based on long experience of managing projects, this was the most difficult one he had faced. The difficulties were in part due to the disbursed nature of the decision-making and, more particularly, the uncertainties – “project management without any reliable kick off date” he called it. And without any idea of how many cases would arise – how many filings and how many opt outs: what would the “litigation rate” be: and how many cases would end up in the local court or the central division in Paris. Against the background of those difficulties M Brunner presented a hugely impressive (to this project non-manager) of the steps being taken in respect of premises, facilities, support staff planning and IT development. There was a passing suggestion on this last topic that the Paris team may not have been totally convinced by some of the security and user authentication features of the system presented by the UK IPO team during a recent workshop exercise. The conference ended with a discussion by a panel of industry representatives. But, bearing in mind the circumstances in which the late Ruth Rendell lost her first job as a reporter on a local paper, I won’t include anything arising out of it in this report. Thanks so much, Chris, for this detailed and helpful report!